Point Limited products and services are used by all types of organizations. Among our customers are financial institutions, manufacturing, shipping companies, hotels, government agencies, research and educational institutions, non-profits, international organizations, small businesses, individual developers and consultants. We unite high-qualified and well-educated programmers and researchers with unique experience in different fields. technical support available on Customer demand. Our success is based on our skilled developers, listening to and servicing our customers, and our commitment to quality software development. By developing an environment that encourages leading edge technologies, and increasing the skills of our people, Point Limited has created, enhanced, and supported products over the years. We believe the market recognizes the quality of our work as we continue to receive great responses. If you however encounter problems with our software, please contact our support department (see Support). 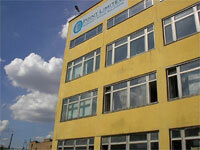 Our offices are located in Moscow, Russia. If you need additional directions, please contact us (see Contacts).